Pat’s Audio Art had just received our first Jadis I-50 Tube Class A integrated Amplifier, and we are super excited. The JADIS I-50 is truly one of the best amplifiers in the world. Nothing is quite like it. In exploring the possibilities with the KT-150 tubes, JADIS had to wind all new Output Transformers to make the best use of this new tube technology. Recently shown at The Haute Fidelite Show driving the 152 pounds each Estelon XB ($36,000) with authority, the Jadis I-50 won over many critics and audiophile show-goers with their amazing openness, detail and resolution that only a Class A tube amplifier of the finest quality can achieve. The two per channel KT-150 is biased conservatively for long-life to put out 50 Watts for channel, but can put out up to 75 Watts push-pull per channel still in Class A. The Jadis I-50 integrated amplifiers are all meticulously hand build with pride in France using the finest components in resistors and polypropylene by-pass capacitors. Unlike most of the tube amps build in the USA, Jadis are hand wired with individual point to point wiring for each component. Although this method costs substantially more to build, it is thought by most experts that you can hear the limitations of copper traces with PCB boards. Jadis artisans have also been famous for their hand wound output transformers, which can make or break the sound of tube amps. Combined with a host of new technology like the new KT-150, Auto-Bias, USB Digital input, and you have the finest amplifier in the world. Oh! Did we mention USB Digital? Yes, there is a high quality DAC built in! And it transforms music from a computer media file so remarkably well that you would have to pay upwards of $3000 for a separate DAC just to equal it. Pat’s initial listening impression: This must be one of the most musical amplifier (or preamp/poweramp combo) at any price. Jadis I-50’s ability to resolve underlying musical content must be amongst one of the best of any amplifier. Listening to opera (Wagner, Das Rheingold. The Vienna Philharmonic Orchestra with George Solti conducting. London OSA 1309 LP) on this amplifier is a true revelation. The stage and echo information is presented just right, rendering a true picture of the recording environment. The opening Double Bass Line is just glorious. The pace of music is one of the best: you can tap and groove to the music rhythmically like there is no tomorrow. The tonal balance transcends beyond tube or transistor. Listening to Tcsikovsky’s The Nutcracker, I heard musical information that I have never heard before. Detail and resolution is of the highest possible, yet the Jadis I-50 has impeccable timing and pace with a tunefulness of the bass that is of the best available. Yes, with the Nutcracker, you want to get up and dance with the music. This amplifier is so successful that Jadis is working to change some of their higher end amplifiers to use these wonderful KT150 tubes, but until they do, I have a feeling that the I50 is equal or better in some ways to the JA120 (a $33,000 power amp with just 2-3 db louder capability). STUNNING! At $13,300, the JADIS I-50 to some, like some fine French wine, brings an irreplaceable enjoyment and rapture when this amplifier is coupled to the finest speakers in the world. 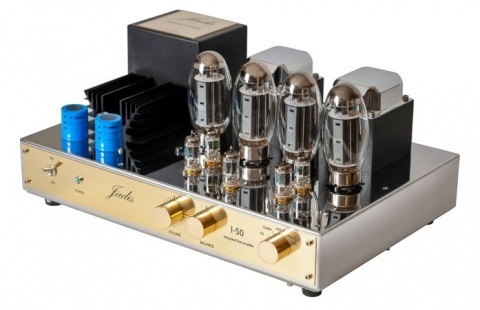 Of course, you can pay $30K and up for some of the best tube Class A amplifiers and more, for higher power units, but they won’t have Jadis” legendary build quality and Jadis” sonic excellence particularly with the KT150 vacuum tubes. It’s like finding a 99 points rating on a Bordeaux for $50!!! Not everyone will be able to justify the price, but those in the know will really appreciate it. When music really matters, Pat’s Audio Art in Vancouver, BC has the finest audio gear and recommends the JADIS I-50 to all our discerning clients. For me, the ooooh and ahhhhh’s factors are all there. Come in for an audition now.